I warmly recommend reading my inspiring colleague Sophie Friedel‘s first monograph The Art of Living Sideways! Sophie Friedel explores the action of skateboarding in her book as a way to escape cycles of despair, not only in war torn environments and regions affected by poverty. The author critically reflects on her involvements of teaching skateboarding in Afghanistan within the context of youth empowerment and peace work. 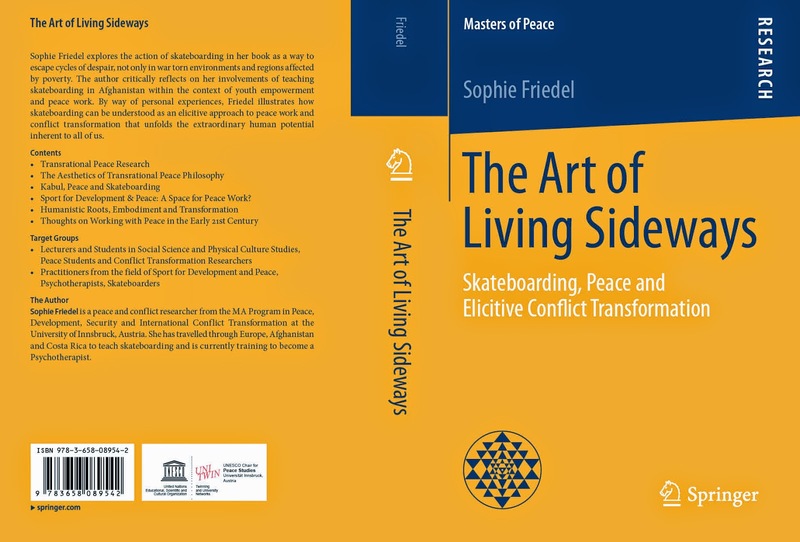 By way of personal experiences, Friedel illustrates how skateboarding can be understood as an elicitive approach to peace work and conflict transformation that unfolds the extraordinary human potential inherent to all of us.